Doha, Qatar – Sixteen schools from across Qatar have qualified to the semifinals of the Qatar e-Nature Live Schools Competition. Nearly 200 students from 60 private and independent schools participated in the quarter finals which took place over the past week at Newton International School (NIS) Lagoon and Maymouna Independent Primary School for Girls. The semi-finals will take place on Tuesday, 03 May 2016 at Newton International School (NIS) Lagoon. • Al Shamal Primary independent School for Boys. The quarter final live rounds were filled with enthusiasm and suspense as teams went head-to-head for the opportunity to move on in the competition. Each team came well prepared, eager to push the buzzer before the other does to answer questions about nature in Qatar, taken from the award-winning Qatar e-Nature smartphone application. During the competition, the teams worked closely with each other, ensuring that they all agree on the answer chosen. In its third year, the Qatar e-Nature schools contest is organized by Sasol, the Ministry of Education and Higher Education, and Friends of the Environment Centre. The schools competition allows students to actively learn about Qatar’s beautiful and diverse wildlife; furthermore, it is the perfect platform to challenge the young participants to showcase their abilities and further enhance their skills and knowledge. 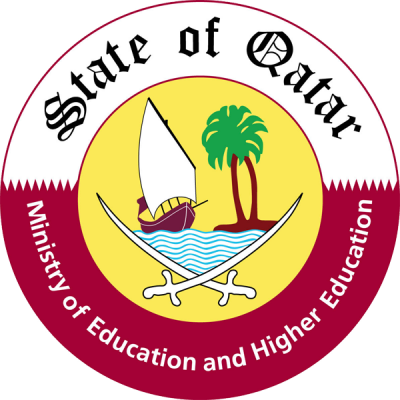 Launched in December 2013, the Qatar e-Nature application and website highlights flora, birds, insects, mammals, reptiles, nature reserves and soon marine life in the country in both languages Arabic and English. Sasol created the app as part of its corporate social responsibility programme in partnership with Friends of the Environment Centre. The app supports the objectives of Qatar National Vision 2030 to promote sustainable development by contributing towards an environmentally aware population. The Qatar e-Nature app has received three accolades in 2015, including two prestigious regional awards. The user-friendly Qatar e-Nature app is available for download free of charge on Apple App Store, Google Play store for Android, Windows Phone Store and on the website (www.enature.qa) which is also available for desktop access. Active Facebook, Twitter and Instagram channels allow users to keep tabs on the latest developments. The application and website is updated regularly, having added nature reserves earlier this year to further benefit users of the application.